When kids are in early elementary school, they are so excited to be in the school’s spring play that they rarely worry about the things that older kids do. I don’t remember ever feeling embarrassed onstage during those years. Everyone was chosen for the school plays at that age and everyone played some small part in the whole production. No one had a big part and there were no complicated lines to remember, so no one worried about forgetting them. And, we got to wear costumes! That lack of stage fright made being in the spring play one of the highlights of the year. We all got to run around onstage wearing something cute that put all eyes squarely on us. I had a very successful run as a turkey that probably still lingers in the mind of the audience. Ok, maybe not, but I certainly remember running around onstage dressed like a turkey while my best friend was outfitted like a tree. Those are times that kids look forward to all year, and a big part of that fun is the costumes that the kids get to wear. It doesn’t take much to make a play fun for kids in this age group. They are already cute and are already the center of attention much of the time. All it takes to make them even more so is something that they can have fun wearing. The more fun they are having, the more energy they bring to their play. 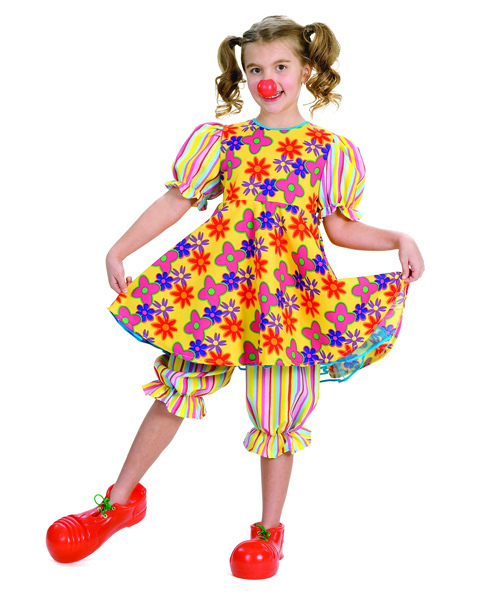 Costumes that kids love are often things that they identify with such as clowns, animals and nature items. Kids can also identify with character costumes like Superman and historical figures that they have learned about during the year. When presented with a costume, any kid loves the idea of dressing up and being onstage with friends. The costume may be elaborate in detail or it may be a simple set of ears and a tail to transform the kids into the characters in their play. Sometimes a set of prop glasses and a wig will do the job perfectly. Do you remember your earliest school play? What character did you play?